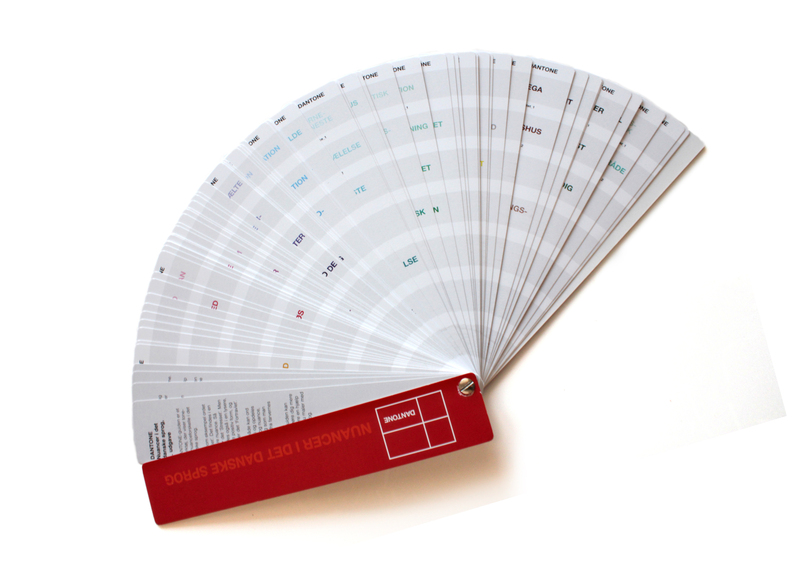 Danish advertising agency TN Reklame has created the Dantone Guide, a colour chart based in words. Finding the right linguistic nuances when communicating is of course just as important as finding the right colour. 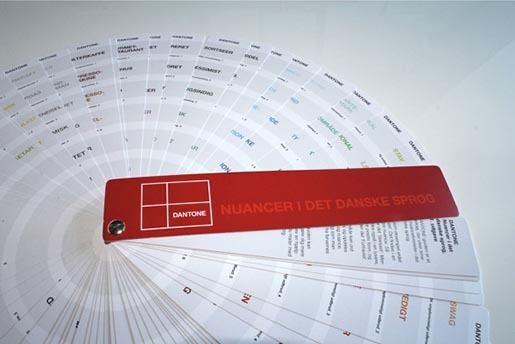 Which is why Thomas Norgaard has developed The Dantone Guide, a chart that introduces nuances in the Danish language (the examples have been translated). From PEACE, over UNREST, to WAR. 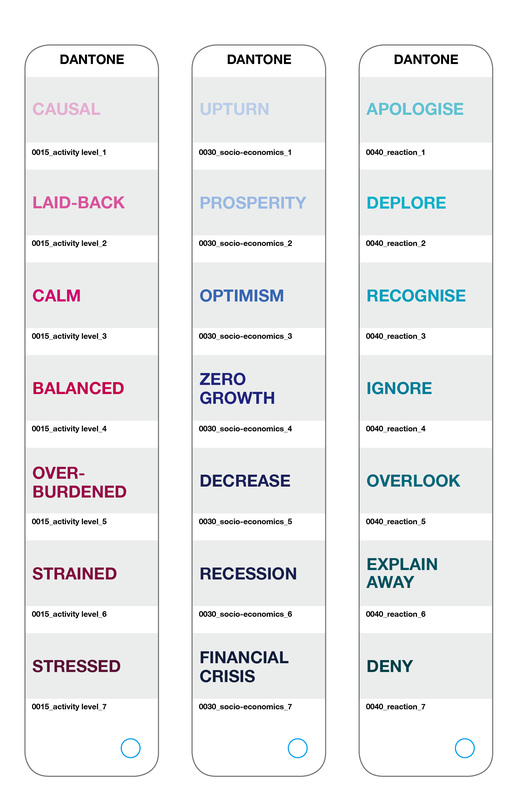 From FINANCIAL CRISIS, over ZERO GROWTH, to UPTURN. The colours of the words follow the actual Pantone scale and the colour of each concept matches its subject, so that matters related to emotions are red/pink, financial issues are blue, and environmental issues green. 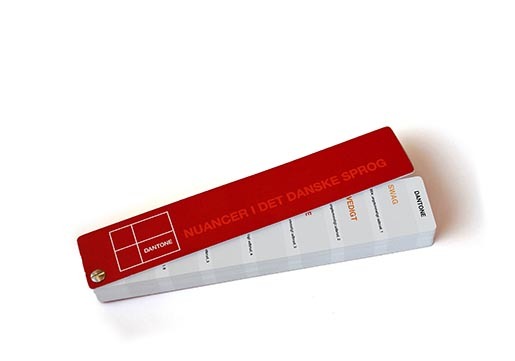 The Dantone Guide was developed at TN Reklame, Copenhagen, by creative director/copywriter Thomas Nørgaard and art director Lisbet Krøll.